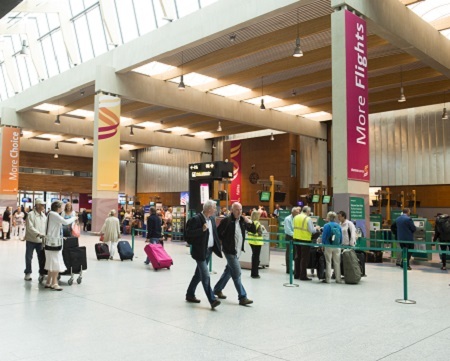 If you’ve got questions about check-in at Shannon, you’ve come to the right place! You’ll find answers to the most common queries we get below. Or if you’re already at the airport, you can head for our main Departures Terminal and you’ll see screens detailing information about check-in desks, and bag drop areas for your airline. Got a bag to drop off? To drop off your bag, just walk along to our main Departures terminal. Here, you’ll find screens with all the information you need about check-in desks, and bag drop areas for your airline, making it as easy as possible for you. If you need to check-in, go directly to the main Departures Terminal. And there, you’ll find screens with the information you need about check-in desks, and bag drop areas for your airline. Have a bigger bag than usual? Your airline will help you check your oversized luggage in and direct you to our special luggage belt. This includes Golf Clubs, Skis, bike boxes, other equipment, and oversized bags. Know your rights when it comes to common rules on compensation and assistance to passengers in many situations. Read more here. You can read Shannon Airport's by-laws in full here. 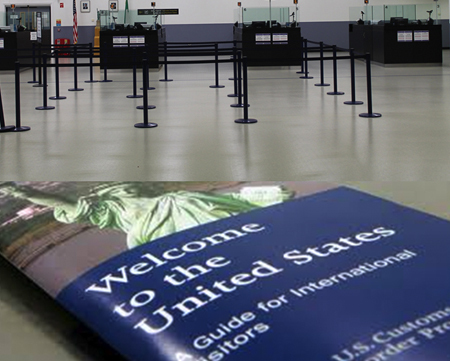 Travelling to the USA or Canada from SNN?